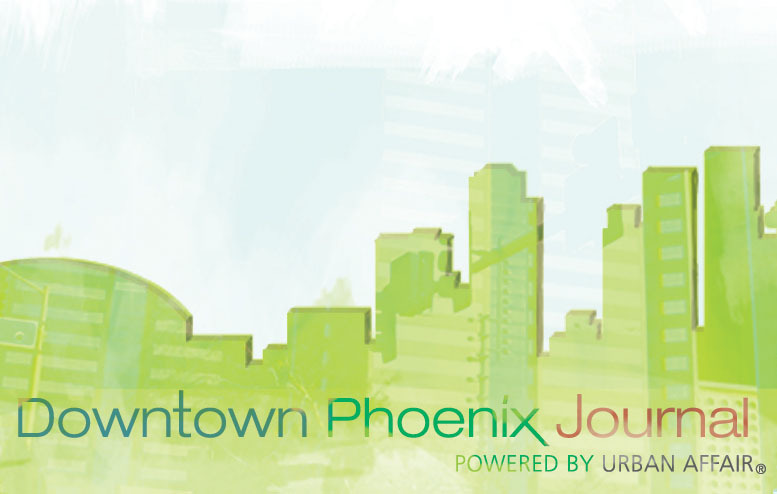 [Source: Si Robins, Downtown Phoenix Journal] — Researching my ongoing blog series, From the Arizona Room, takes a solid chunk of time, but the payoff is twofold — I’m helping to educate neighbors and visitors alike about historic structures littered throughout Downtown’s landscape, and I’m gaining an unwavering appreciation for carefully conducted historic reuse projects. It’s really baffling how many historic structures there are throughout the grid, though most could be given some TLC and a dab of nice landscaping out front. I bring this up as DPJ debuts Lyle Plocher’s weekly Downtown real estate blog, City Dwelling. Yes, Lyle is a real estate agent who lives, works, and plays Downtown. But, he also has an undeniable knack for spotting and scouting properties all of our readers would be interested in. Whether it’s a modern high rise or a historic bungalow in Garfield, City Dwelling highlights some of the Valley’s truly unique architecture, and that’s something that is often overlooked. As you journey about this week, I urge you to take a moment to appreciate some of the great structures in our city. They’re part of our character, they’re part of our skyline and they’re part of what makes our city great. Posted on February 4, 2010, in Downtown Vitality, Media and tagged Downtown Phoenix, Downtown Phoenix Journal, Garfield, Historic District, Lyle Plocher, Neighborhoods. Bookmark the permalink. Leave a comment.